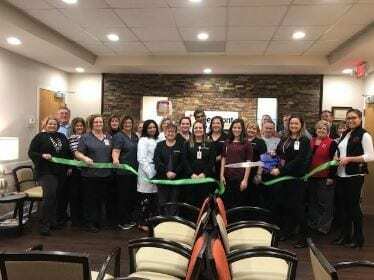 The Pickens County Chamber of Commerce would like to congratulate Piedmont Physicians Mountainside Internal Medicine on their ribbon cutting for their business. Piedmont Physicians Mountainside Internal Medicine specializes in primary care to help patients achieve and maintain better health, focusing on prevention as the best medicine. They feature same-day appointments and provide a wide range of services such as well visits, sick visits, annual exams, women’s health, sports physicals, vaccinations and immunizations. For more information on Piedmont Physicians Mountainside Internal Medicine and many other businesses that are members of the Pickens County Chamber of Commerce, please give us a call at 706-692-5600 or visit our website at www.pickenschamber.com. A bomb is exactly what citizens are calling this information that they say came out of nowhere. 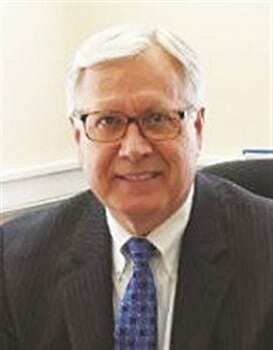 With continuing questions of what this means to Gilmer County, FYN sat down with Executive Director of the Greater Gilmer JDA (Joint Development Authority), Chuck Scragg in an interview Wednesday. 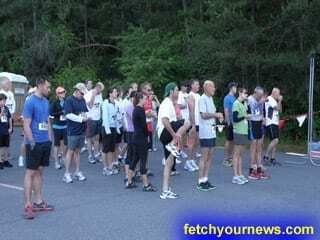 As Directo r Scragg said, the impact of that information and the potential loss to Gilmer County could be quite substantial as losing a $31,000,000 business, which the hospital as a whole contributes to the county, would be a large impediment on the economy, stating, “in 2006 there were 9,035 jobs in Gilmer County, right now, today, there are 7,200 jobs.” Losing a business is losing jobs. In a county that is still not recovering from the recession, it will be much harder to entice companies to join and move into Gilmer county with no inpatient care services. Director Scragg said when people visit for business scouting, after seeing potential sites, there are always three things they ask to see in the county; Schools, Downtown Area, and Healthcare Facilities. While FYN has learned of a non-disclosure agreement covering the leasing or closing of the Medical Center, FYN has continued requesting comments from Piedmont Mountainside about the Transition and Services they would provide for Gilmer County considering there is a deadline of January 27 to contest the issue and the filing of a Request for Determination. Citizens and employees of the Medical Center both are commenting and responding to this information saying “there are employees there that depend on their job to support their family” and many saying this is the first they have heard of the possible closing. With this being the first information they have received, many are still questioning why they were not informed earlier with the deadline only a week away? House Speaker David Ralston’s office also released the following statement concerning the hospital via Kaleb McMichen, Spokesman. Under President Obama’s administration, actions at the federal level have driven up the costs of healthcare including deductibles and premiums of commercial health insurance policies as well as the state’s portion of Medicaid spending. Unfortunately, many hospitals and doctors across Georgia, particularly those in rural areas, are struggling to cope with these changing financial realities. As recently as last week, Speaker Ralston has said time and again that maintaining access to high-quality healthcare for Georgia’s citizens is a priority. He remains engaged with stakeholders and is working with them to find the best of available solutions to preserve access to hospital care in Gilmer County. According to Director Scragg, the Greater Gilmer JDA will be having a Special Called Meeting on Monday morning at 9:00am at the Gilmer Chamber. We at FYN have also received the Agenda for this meeting, one of the major items on the agenda being ‘Review & Action on Hospital DET.’ This is an open meeting for citizens to sit in to listen and participate in a Citizens Wishing to Speak Section. « Previous Article What is 4x8 and Red All Over? « Previous Article "The Visionary Marriage"